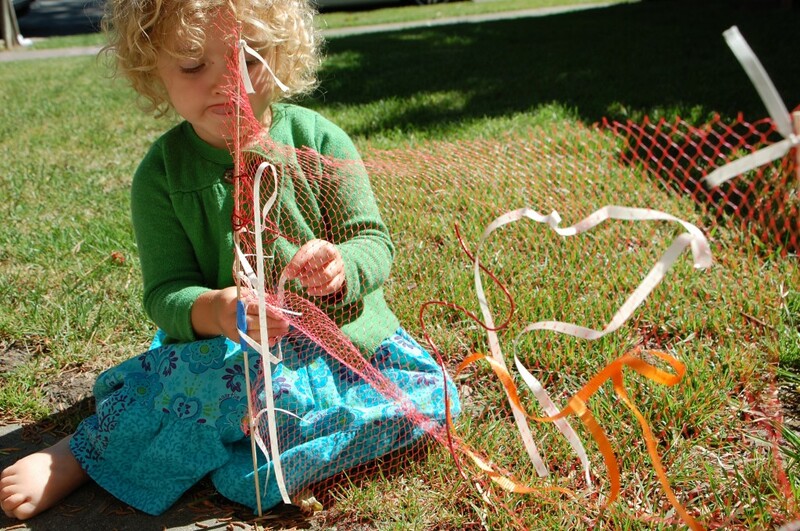 My older daughter, age six, is obsessed with fiber arts, and has been engaged in all sorts of weaving activities lately. 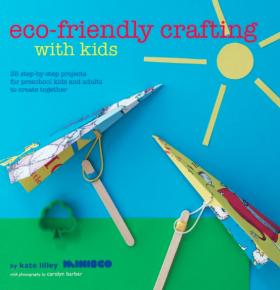 We have a book case full of inspiring crafting books, and she and her friend pulled Eco-friendly Crafting with Kids (affiliate) by Kate Liley off the shelf. 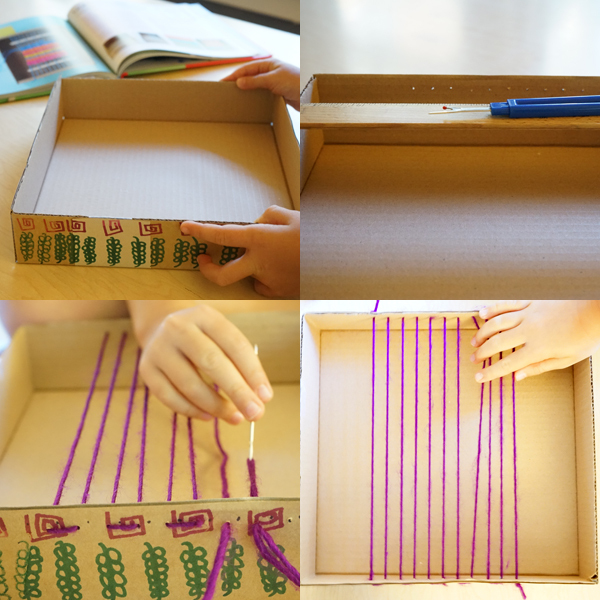 After paging through it they landed on Box Loom Weaving, and wanted to give it a go. 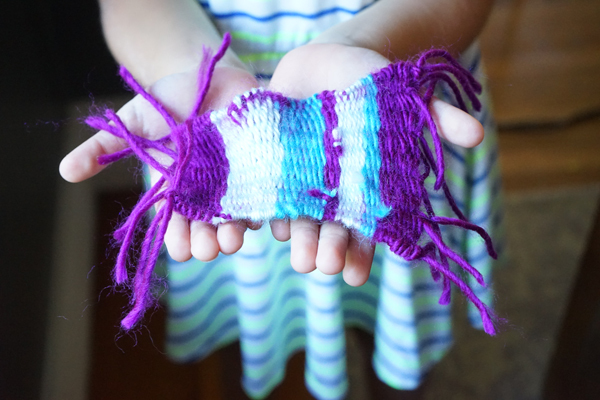 The tutorial is very well articulated, and once we gathered all the materials (and there are only seven supplies…phew) we had no trouble tackling this easy and rewarding weaving project. I’ll share all the steps here. 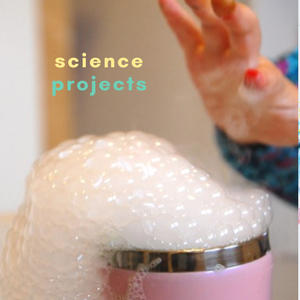 If you enjoy this project, do check out the book for more hands-on ideas like this. 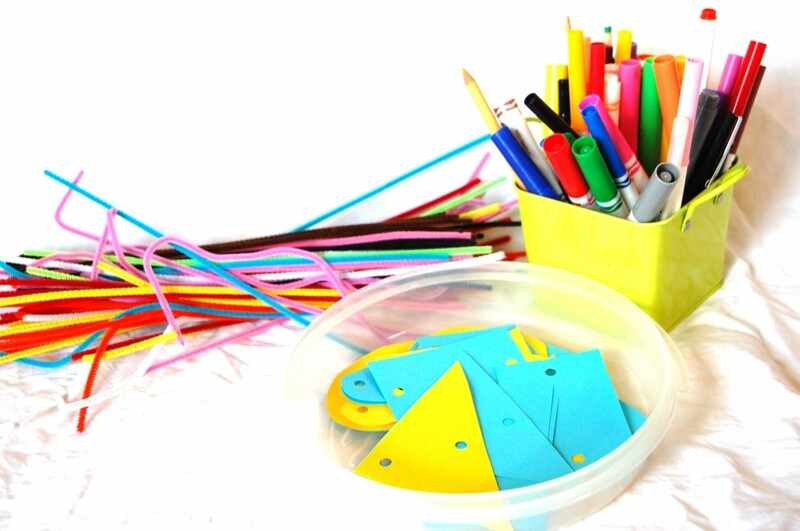 If you’re like me, you can’t have enough crafting, making, and tinkering books! Cardboard box without a top. We cut ours to be about 2 inches tall. 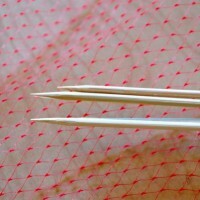 Something sharp to poke holes in the box, such as a seam ripper or fat needle. Darning Needle (affiliate) or other fat needle. 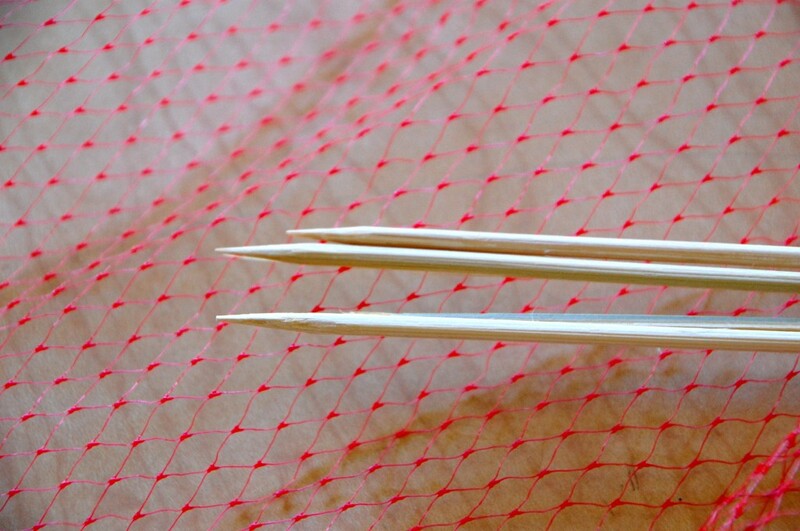 In lieu of a needle, you could tape your yarn to the end of a popsicle stick. Poke about 10 holes across two edges of the box. The holes should be roughly 1/2 inch apart. 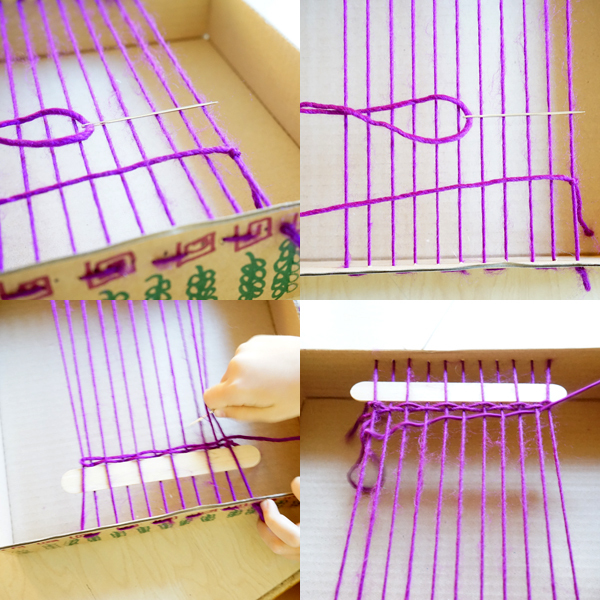 Tie a knot at one end of a long piece of yarn (sorry, I don’t have an exact length – it depends on the size of your box) and run the yarn through the holes, from one side of the box to the other. Run a new piece of yarn through your needle and tie one end of the yarn to either the left or right bottom side of the warp. This new piece of thread will be called the weft, from the old English word wefen meaning “to weave.” In the world of weaving, the needle would be called the shuttle. Run the yarn from one side of the warp to the other, going under and over the warp yarn. Straighten it all out. 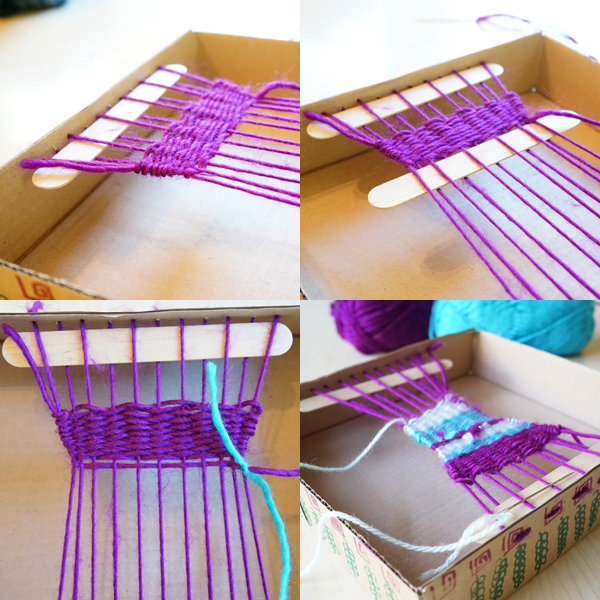 After weaving the yarn back and forth a few times, weave a popsicle stick below the weft. This will keep the yarn straight. 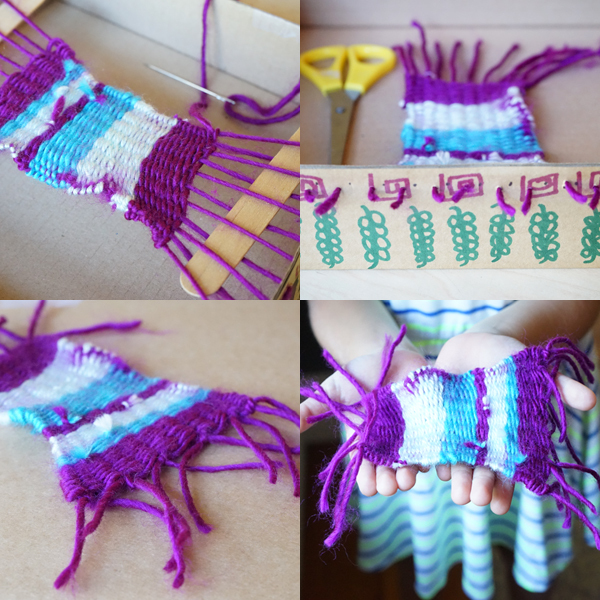 Place another popsicle stick at the other end of the weaving to straighten it out. 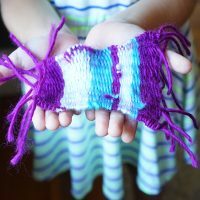 To add another color, simply tie the yarn you’re done with to another color, or tie it to the warp and then tie a new color to the warp. Trim your yarn. Keep on weaving and adding more colors. 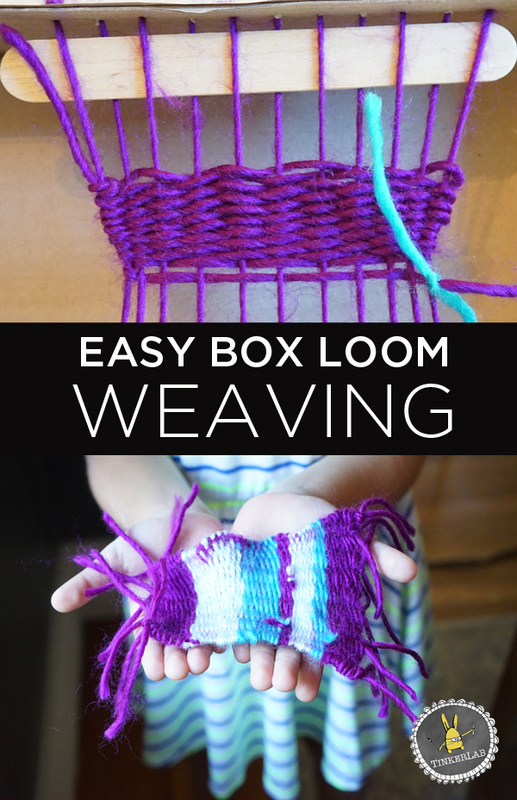 When the weaving is done, make a know of the weft to the warp. Tie two yarn together to make a knot. 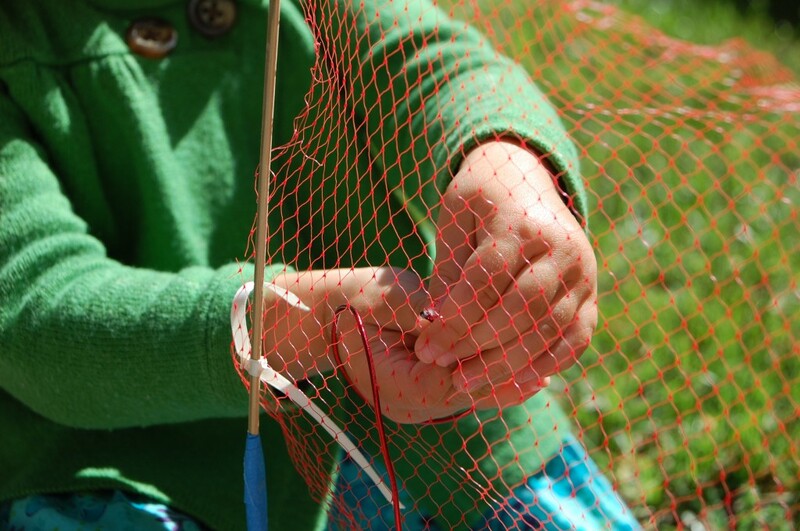 If you have five dangling warp yarns at each end, you should tie a total of five knots. 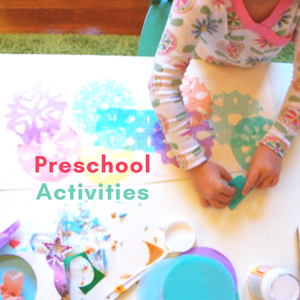 Check out Eco-friendly Crafting with Kids (affiliate) for this idea and more step-by-step projects for preschool kids and adults to create together with found, natural, and recycled materials. 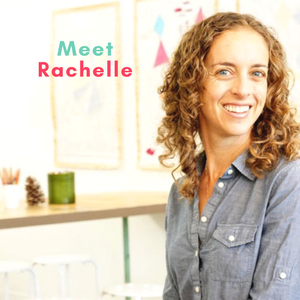 Today I’m so excited to share that I’ve been invited to write a guest post for one of my favorite blogs, Not Just Cute. 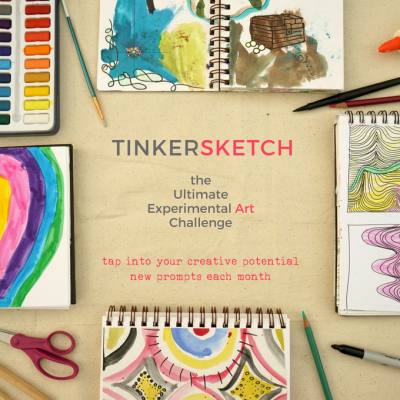 Sooo, bonus for today is that there are TWO TinkerLab posts for your enjoyment. Hoorah! 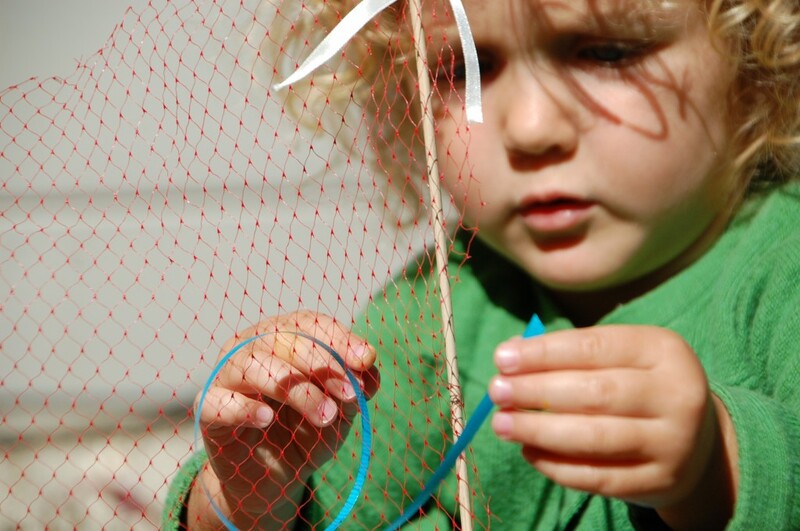 The Not Just Cute project will take you outdoors to make a Book of Textures, which is a great activity for kids of all ages. 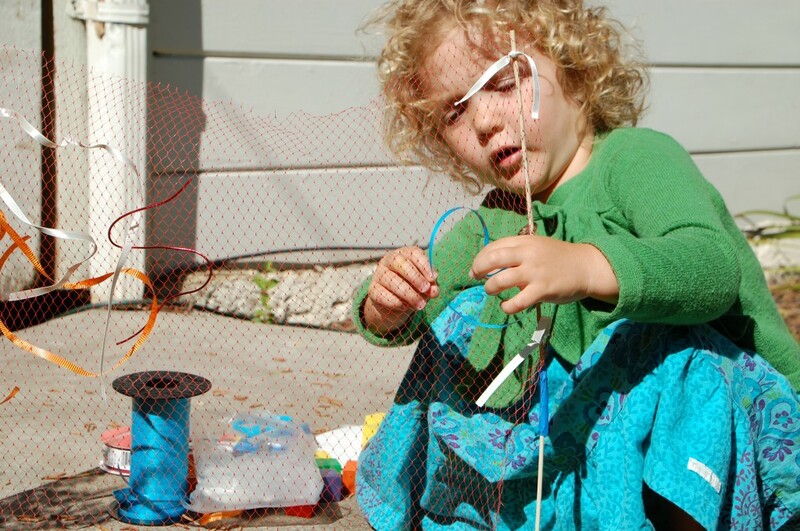 After you read all about it, come on back and read about looping pipe cleaners and such. 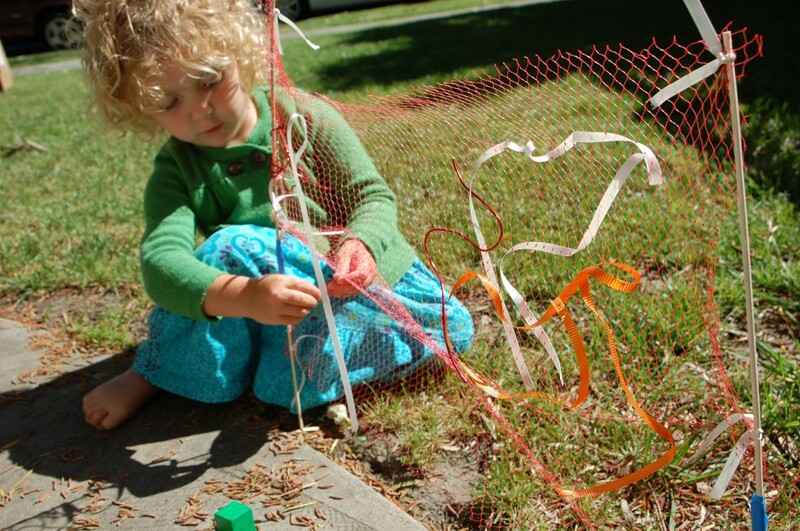 She picked up the paper and immediately began weaving the pipe cleaners through the holes. 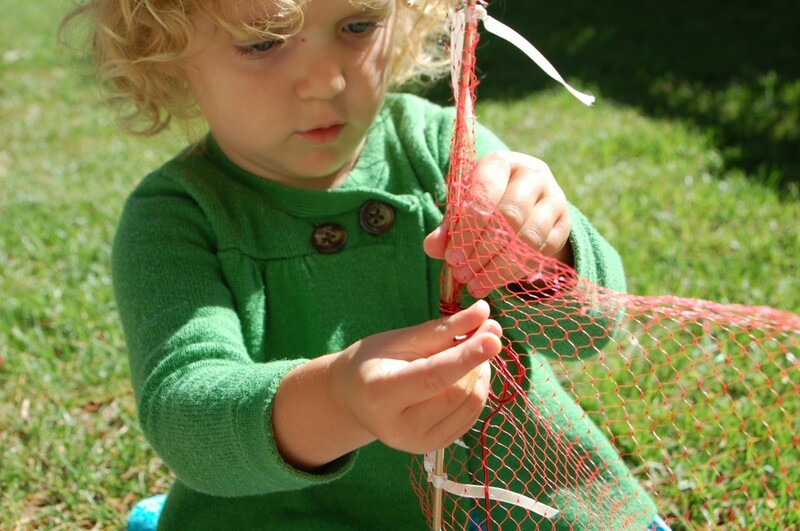 Go-go fine motor skills. She worked at this for a few minutes – standing – and then I guess she got tired and/or decided to commit to the project because she eventually pulled up a seat. 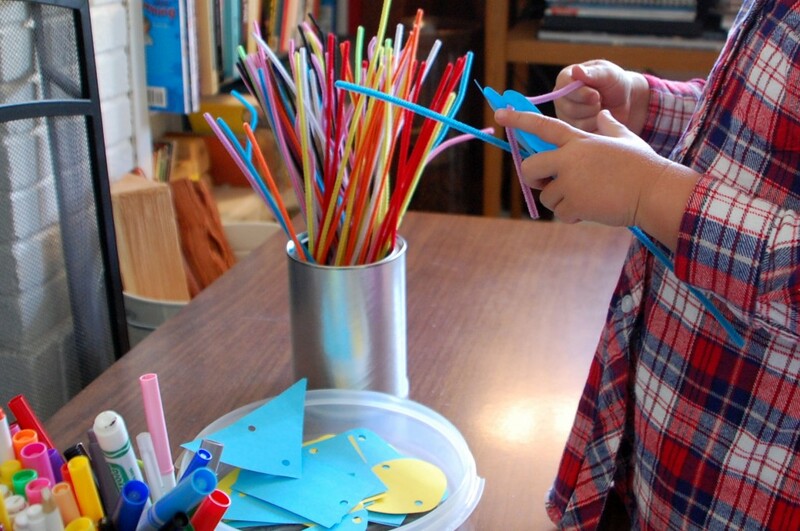 Poking the pipe cleaners through the holes was easy enough, but she was challenged to bend them into the twists and hooks that she wanted in order to link them together. 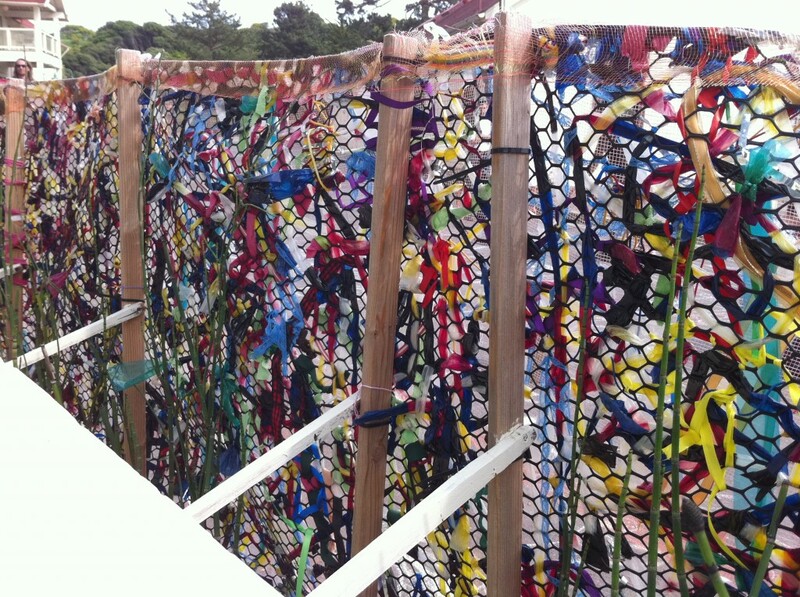 She wove one or two pieces together, making about eight of these mini-assemblages. 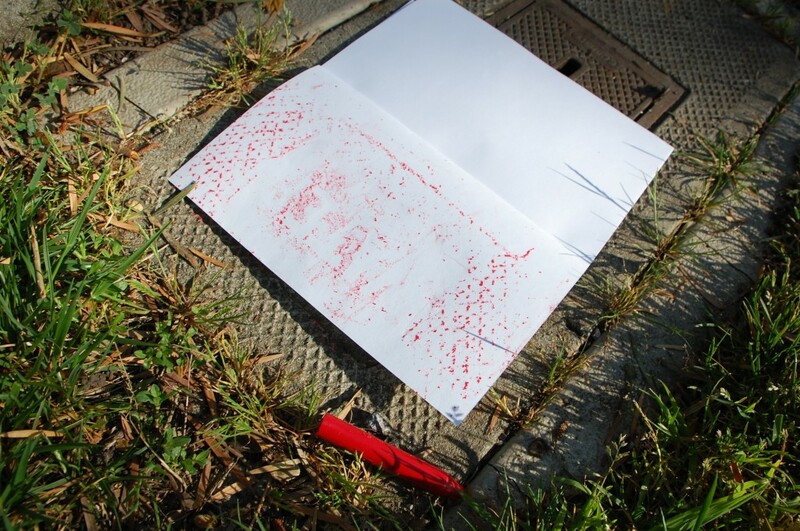 She returned to the project later in the day to add little drawings to the papers with the markers. 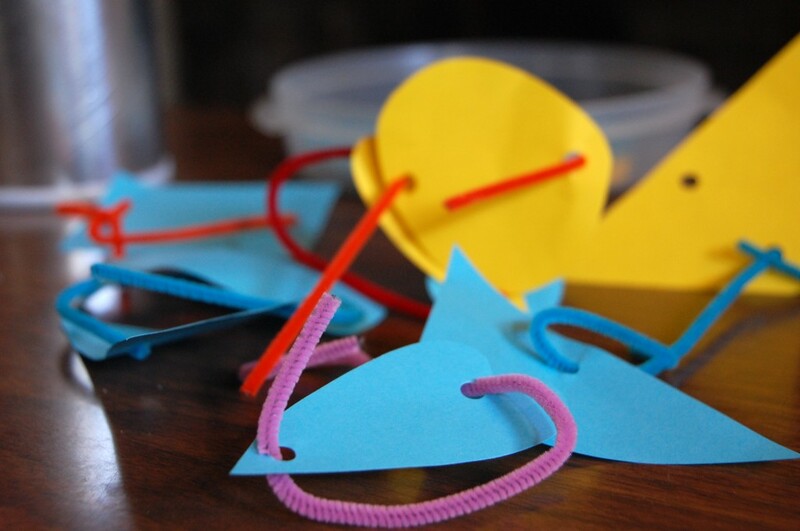 I saved the papers, and the next day replaced the pipe cleaners with binder rings. I also added the hole puncher to the mix in case she wanted to give hole punching a go. Our hole puncher is a bit surly, and not the smoothest tool for a preschooler to use. Any recommendations for a kid-friendly hole puncher? 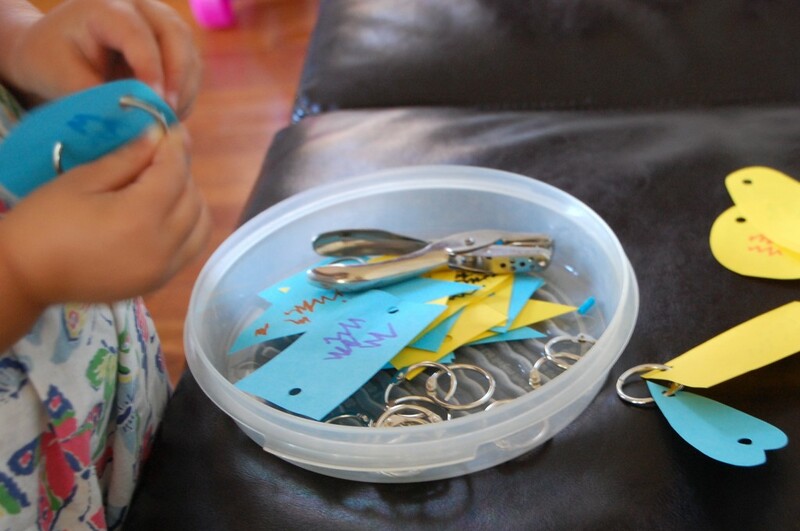 While she found the binder clips difficult to open, this didn’t faze her because she was intrigued by them (the novelty factor can go a long way!) and wanted to learn how they worked. She made a handful of these before calling it quits. 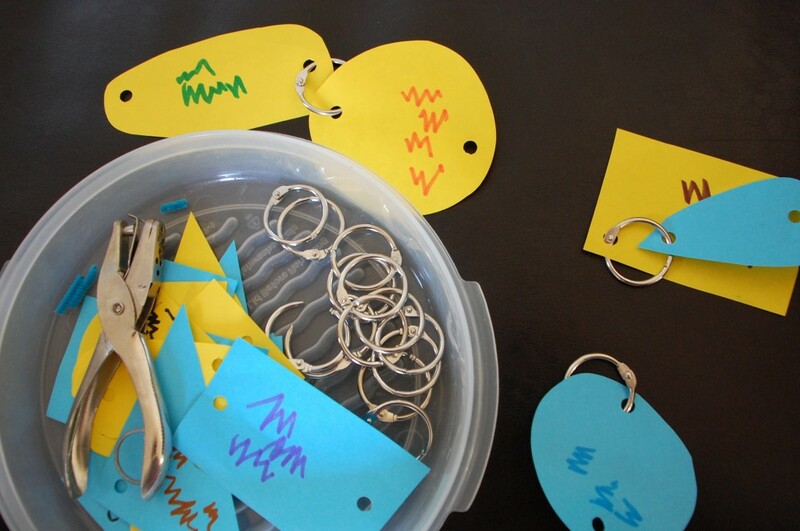 For older children, it could be fun to make little loose leaf books with binder rings. 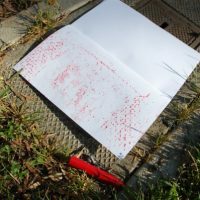 You could also use this technique to make a texture rubbing book, like the one we wrote about today at Not Just Cute. What other materials would be fun to loop through holes?